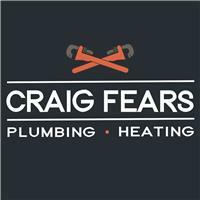 Craig Fears Plumbing & Heating - Central Heating Engineer, Plumber based in Eastbourne, East Sussex. Central Heating Engineer, Plumber, Gas Boiler Installation, Central Heating - Gas - Installation and Servicing, General Plumbing, Landlord Gas Certificates and Safety Checks, Radiators and Valves and Thermostats Installed and Replaced, Shower Installation and Repair, Under Floor Heating, Unvented Hot Water Cylinders, Water Leak Detection, Water Supply Pipe Repairs, Blocked Baths, Blocked Sinks, Boiler Repairs and Servicing, Gas Cooker Installation, Plumbing Repairs, Power Flushing, Smart Thermostats, Tap Repair, Water Pumps. Hailsham, Eastbourne, Polegate, Lewes, Lancing, East Sussex.